"Dichtung Bremsankerplatte an Hinterachsgehäuse, 8.75″ Stahlscheibe"
Notes: 5 bolt hole rear flanges with 2 3/32 in. inside diameter. 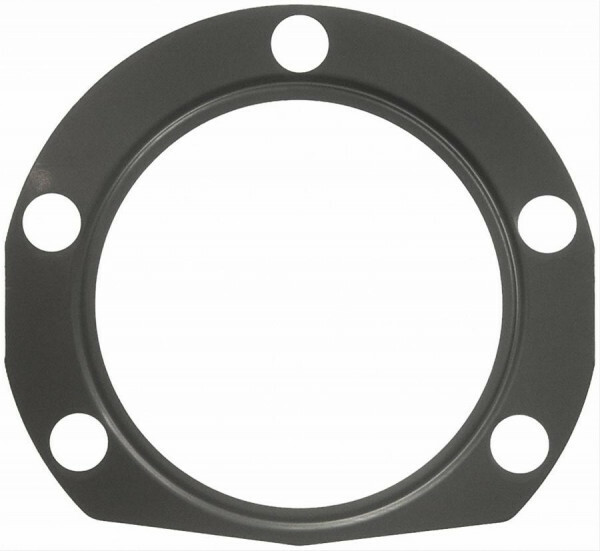 These Fel-Pro axle drive flange gaskets are designed to fit between your axle tube housing end and the bearing retainer plates. They are made from quality materials and are available for most rear-wheel drive applications.